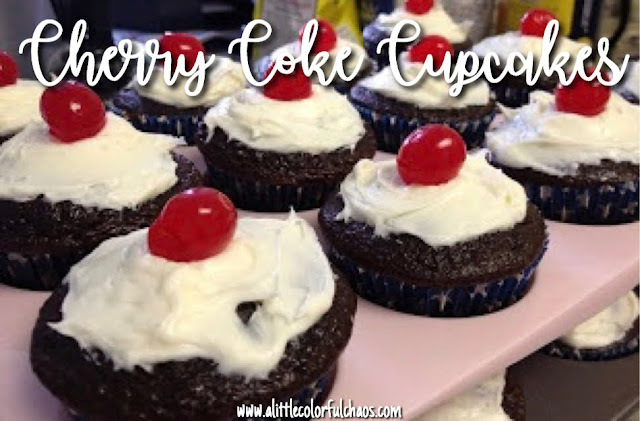 To top off my 4th of July treats trifecta, I present Cherry Coke Cupcakes. I mean, what else can I say?! I never knew how easy it was to cook with pop (yes, I'm from the midwest and we say pop, not soda or Coke for that matter. I still don't understand why people say they want a Coke when they really want a Spirte) and if you've been following along, I have made a few things with pop in them. (New to the Khaos? Check out 7-Up Biscuits & Diet Coke Brownies) These cupcakes were super easy to make, probably because they aren't made from scratch. Oh, the horror of making something from a box! Whatever, they were still delicious. Big thanks to Susannah's Kitchen for the recipe! 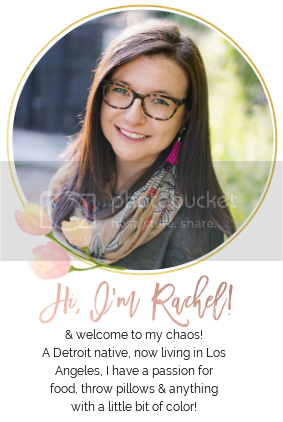 How difficult was this for Rachel: Easy! Yeah, there are a lot of things wrong with this picture. I also ended up not using the sprinkles. Pour cake mix, eggs and coke into a large bowl and mix. Pour evenly into cupcake holders. Bake according to directions on the box. Once cupcakes are done, let cool at least 45 minutes until adding the frosting. Frost and top with a cherry! That's it!